Goshen Mechanical Technician Ben Shumoski enters system data in MobiliForms for immediate processing by Goshen’s main office. By using MobiliForms, Goshen has eliminated lost work orders and sped up payments. Goshen Mechanical is a full-service mechanical and construction company operating 24/7/365. Gaffney knew that going mobile was necessary, but finding the right solution delayed the move. “The MobiliForms system—including all iPads®—paid for itself in just two months,” said Jim Gaffney, Chris’ brother and co-owner and CEO of Goshen. 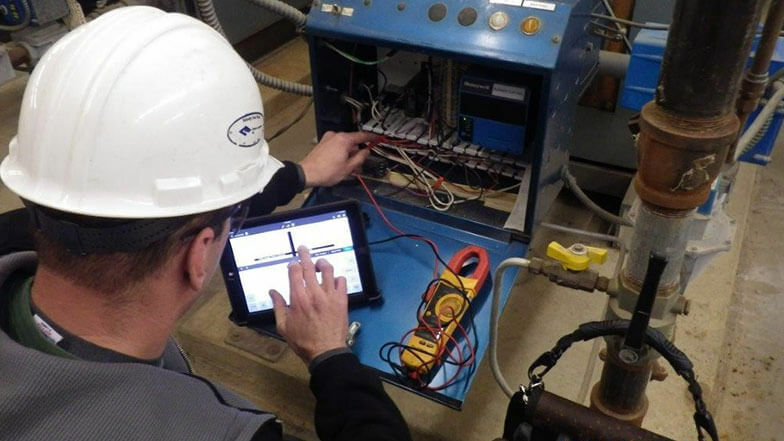 Goshen’s field staff completes service tickets, preventive maintenance inspections, and startup checklists using the same, familiar forms, but now through MobiliForms on iPads. Customer feedback has been great, as 95 percent of Goshen’s customers do not want paper. With MobiliForms, Goshen’s timesheets and payroll have become more accurate, as information arrives from the field in real time. Industry wisdom suggests that time cards completed at week’s end are more likely to be rounded up than down, and such payroll inaccuracies become quite costly. MobiliForms timesheets are identical to the paper versions and are sent instantly to the cloud or payroll personnel. MobiliForms does not require any change in backend software, so it is compatible with any accounting system. Goshen found it to be a perfect companion to its QuickBooks system, and they were able to launch MobiliForms quickly. 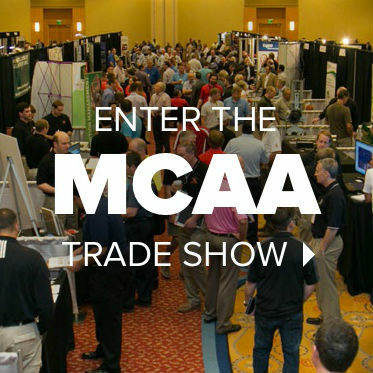 MCAA contractors need the best tools to survive and thrive amid today’s competition. Reducing costs, getting paid faster, and increasing customer satisfaction are critical for success. For more information, visit MobiliForms.com or contact Steve Metzman at 215-850-5565 or steve.metzman@iBusiness-Tech.com.